Andrew Lock, being the only Australian to summit all 14 of the world’s 8000 meter peaks has met with many challenges. Tragedy, exhaustions, sacrifices and his own near death experiences are all part of his “Mountaintop Adventure”. Teamwork and leadership take on a new meaning when faced with such physical and mental demands. Join us as Andrew shares his achievements, why he does what he does and how he handles the myriad of team conflicts while he leads expeditions up treacherous terrain. Andrew Lock is the most accomplished high-altitude mountaineer in Australian history. He is the only Australian, the first person in the entire British Commonwealth, and just the 18th man in the world, to climb all fourteen of the world’s 8000 metre mountains. His achievements encompass 18 summits of those 8000 metre peaks, including Mt Everest (twice), three times that of any other Australian, placing him in a select group of the world’s best alpinists. Additionally, Andrew accomplished the first Australian ascent of 6 of those mountains, a record that can never be broken. More can be read in his book Summit 8000 and the upcoming North American version titled Master of Thin Air to be released in July 2015. He holds a Bachelor of Social Science (Emergency Management) with Distinction. In addition to being a professional corporate speaker, he is a regular speaker at charity events and is the official Ambassador for Scouts Australia, the Sir David Martin Foundation and the Australian Himalayan Foundation. He has been appointed an Australia Day Ambassador five times and was awarded the Order of Australia for Services to Mountaineering, the Australian National Medal and the Australian Defence medal. He has twice been awarded the Mount Everest medal by the Government of Nepal. 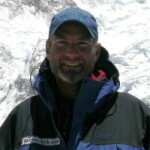 He was an Australian of the Year nominee in 2010 and the Adventurer of the Year in 2009 and 2010. He is listed in the Who’s Who of Australia.